Home Free, the Minnesota-based country vocal band that includes Gustavus alumni Chris '02 and Adam '04 Rupp, won season four of the NBC show The Sing-Off on Monday, Dec. 23. 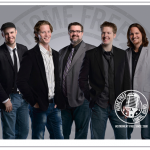 By winning the contest, Home Free will receive $100,000 and a Sony recording contract. So much happens on a college campus in just a week’s time, so you can only imagine the number of noteworthy events that take place in a calendar year at Gustavus. Classes, research, lectures, concerts, recitals, exhibitions, athletic events, dedications, awards, scholarships, conferences, rankings, and more. The events and people featured in these stories contribute to the unfolding story of Gustavus Adolphus College, which continues to prepare students for lives of leadership and service. The Minnesota-based vocal band Home Free advanced to the finals of NBC’s The Sing-Off by returning to its country roots Thursday night with the Zach Brown Band’s “Colder Weather". As Home Free enter the finals on Monday night, only three of the original ten groups remain. 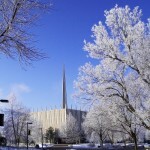 The 41st annual Christmas in Christ Chapel, Holy Wisdom, Holy Word: The Gates of Eden are Open, was presented on the Gustavus Adolphus College campus on Dec. 6-8. Now a number of radio stations throughout southern Minnesota and northern Iowa will broadcast the service on various dates and times during this Christmas season. After graduating from Gustavus, Mike Marcotte '08 thought he would find himself in an elementary school classroom. 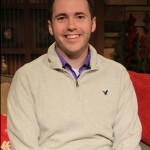 Instead, Marcotte is building his career as an assistant producer of the television show Twin Cities Live. In his spare time he makes sure to stay connected to his alma mater through his involvement in the Gustavus Young Alumni group. The Campus Activities Board at Gustavus Adolphus College has announced that the music duo Timeflies will perform in concert at 8 p.m. Friday, May 9 in Lund Arena. Timeflies uses elements of pop, hip-hop, dub step, and rock, and aims to escape genre limitations to create their expressive music. If you’ve watched NBC’s primetime show The Sing-Off, you’re probably familiar with the Minnesota-based group Home Free. 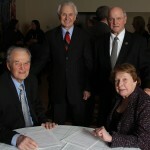 What you might not know is that two members of the group have ties to Gustavus Adolphus College. 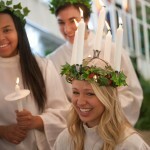 Sophomore Christina Swenson of Marion, Iowa, was crowned St. Lucia on Thursday morning in Christ Chapel at Gustavus Adolphus College’s 73rd annual Festival of St. Lucia. Swenson is a health fitness major who serves as a Collegiate Fellow and sings in the Choir of Christ Chapel. She is also involved as a Gustie Guide, in the Running Club, Prepare Ministries, and Swing Club. 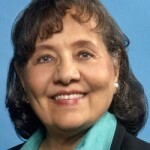 Diane Nash, a key figure during the nonviolent and civil rights movements of the 1960s, will give the 2014 Martin Luther King Jr. Memorial Lecture at Gustavus Adolphus College at 10 a.m. Monday, Jan. 20 in Christ Chapel. Nash’s lecture is titled “Reflections on the Civil Rights Movement” and is free and open to the public.